A few years back (2003), I bought this Casio G-Shock re-edition. 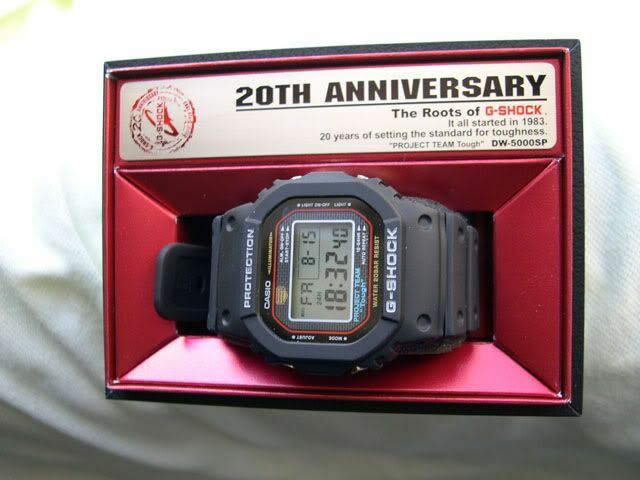 It is a ‘re-edition’ of the first model G-Shock. Exactly the same one as I witnessed in the windows of ‘Dixons’ (or similair store) in the UK. With a bit of help of the G-Shock Forum, I pushed myself to buy this one. I think I paid a mere 150 USD for it. 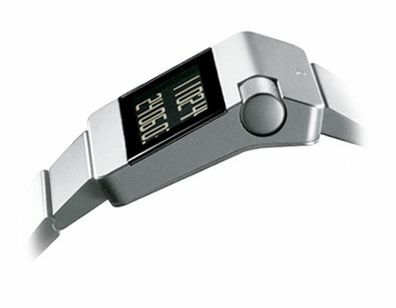 Anyway, maybe because I am from the Digital Generation :-), but I always have a weakness for nice digital watches. Although I probably will never buy them (the 150 USD was more then enough to spend for me on a digital watch), I really like the Omega Speedmaster X-33 for instance. Or the Breitling Aerospace on a brown leather croco strap. Also, the Seamaster series from the early eighties called ‘Multifunction’ were quite nice.